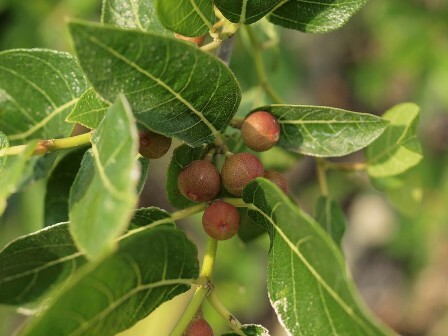 Sandpaper fig is a fruit from Australia. 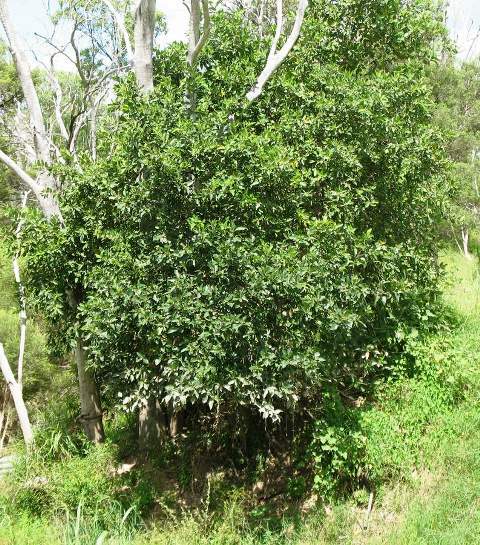 It is native to Queensland and the Northern Territory. Besides Australia, it also grows in some parts of Malaysia. Sandpaper fig has quite harsh and rough leaves giving a feel of sandpaper. Probably that is the reason they call it sandpaper fig. It bears small fruits which are good to eat. A small tree or a large shrub, 1-3 m tall. Leaves 6-14 x 4-6 cm; rough, petioles and twigs exudate milky latex, stipules 4-15 mm long, hairy on outer surface; younger leafy twigs and petioles are also hairy. Tepals glabrous in male and female flowers but sparsely hairy near the apex in gall flowers; male flowers produced around the ostiole, bristles produced between the female and gall flowers; stigma cylindric, papillose, style sparsely hairy in the upper half; bracts at the base of the fig, usually three; lateral bracts not present on the outside of the fig body. 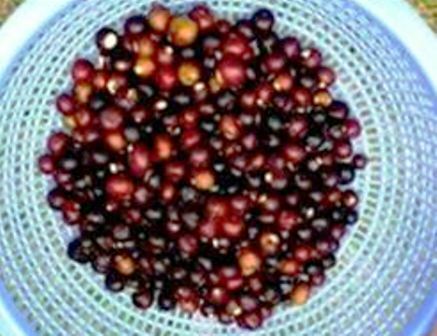 Fruits pedunculate, globular to depressed globular, about 15-20 mm dia, outer surface pubescent, sometimes black and shiny when ripe; orifice closed by interlocking apical and internal bracts. The fruit is edible and palatable. The skin of the fruit is so thin that it is often broken just by touching it. At full maturity the fruit often drips clear, sweet nectar, and at this stage it is one of the nicest-eating of bush tuckers. Sandpaper fig fruits are surprisingly rich in Vitamin C. These are also good source of minerals and other nutrients. Besides that, these have a high energy value too. The Australian aboriginals have been using sandpaper fig leaves for polishing wooden objects like spears, woomeras and boomerangs. 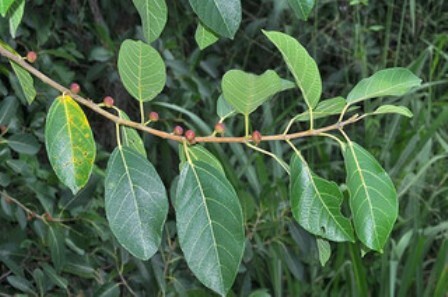 The tree also provided a cure for ringworm: the affected skin would be abraded with a leaf, and the milky latex applied to the affected area. The tree grows wild except the plants planted as specimens in botanical and research gardens.